When a testator – a person who makes a will – dies in Missouri, his will may be admitted to the appropriate probate court, and the court will determine whether the will is valid. For example, if the will was improperly signed or if the testator was forced to give valuable property to certain beneficiaries, the court could determine that it isn’t a valid will. Sometimes, determining if the will is valid requires the probate court to hear will contests, so the court may hold a hearing where the challenger of the will can present evidence about why the will is invalid. Once the court has heard all the evidence, it will decide the validity of the will. 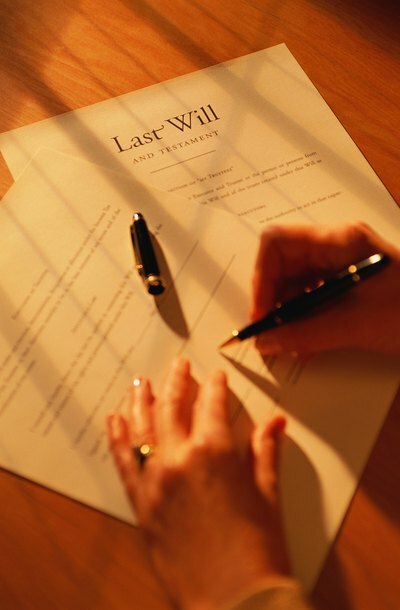 If the will is valid, the probate court will usually appoint the executor nominated in the will. The executor is the person who administers the deceased person's estate by gathering his assets, paying his final debts and distributing the remaining assets to the beneficiaries named in the will. However, the probate court has authority to appoint someone other than the executor named in the will, especially if there is some reason why that executor should not serve. For example, if the named executor is now incapacitated, the court will appoint someone else as executor. Even if a Missouri resident dies without a will, his estate will usually have to be administered by the probate court. The court will appoint someone to administer the estate, such as a spouse or close family member, and will apply Missouri’s laws of intestate succession to determine who inherits the deceased person’s property. The intestate succession laws apply only when someone dies without a valid will; they provide a hierarchy of heirs to inherit the deceased person's property, starting with close relatives like a spouse and continuing to more distant relatives. Missouri allows property to pass without going through probate when the value of the estate is less than $40,000, but the probate court is still involved in this "small estate" process. The court can require the administrator to post a bond and provide proof that he published a notice to creditors in the newspaper. Missouri’s probate courts also hear guardianship cases. Guardianship is the process where a guardian is appointed to care for another person, called a ward, when the ward is judged to be incapacitated. Minors are deemed incapacitated because they are too young to be considered legally competent, but adults can be judged incapacitated, too. For example, an elderly adult with severe dementia may be judged by the probate court as incapacitated. Usually, these cases are brought to the court by the person who wishes to be appointed as that adult's guardian. After a hearing, if the person is indeed determined to be incapacitated, the probate court will appoint a guardian to care for that adult. The appointed guardian might not physically care for the ward, but he is responsible for providing care, such as hiring home care nurses for the incapacitated adult. Conservatorship is similar to guardianship and it is also administered by the probate courts. As with guardianship cases, the court must first determine the person is incapacitated or unable to care for his finances before appointing a conservator. However, unlike guardianship, conservatorship only gives the conservator authority over the incapacitated person’s finances whereas a guardian can have authority over both the incapacitated person's care and finances.